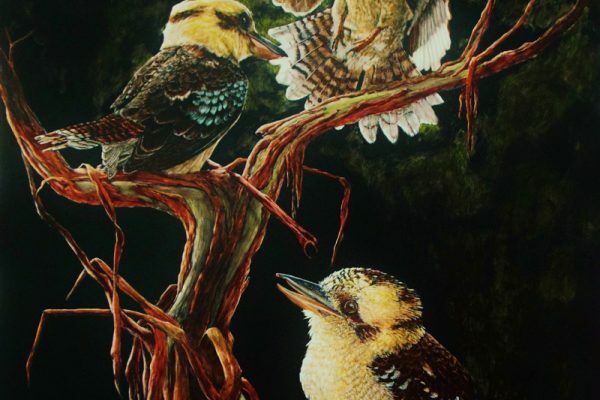 Jill Garsden – Queensland Wildlife Artists Society Inc.
Jill Garsden always enjoyed ‘dabbling’ in drawing, especially animals, but did not develop her abilities until after her retirement from a teaching career. 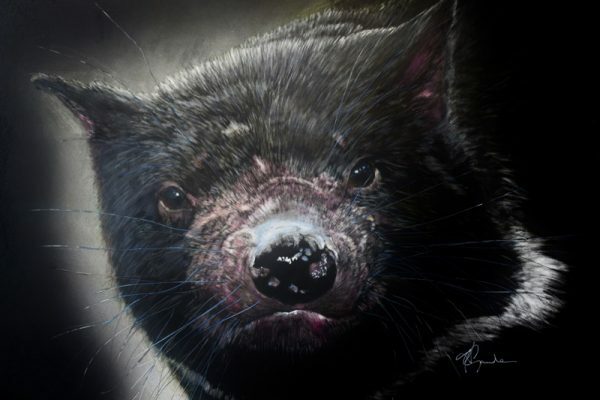 She quickly found herself pulled towards the representing the landscapes and life-forms she holds dear, commencing with those of the Northern Rivers region of NSW and gradually extending her interest towards environments and fauna found further afield. 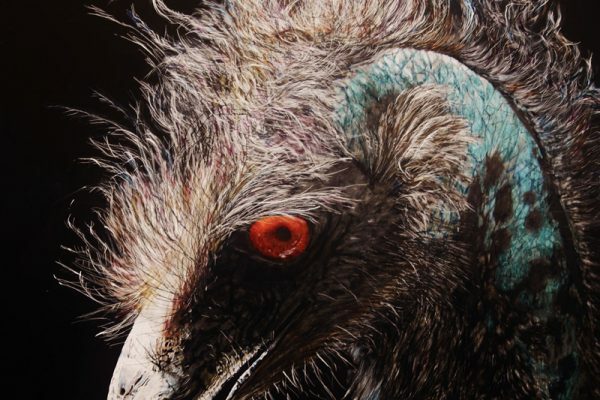 Although she has worked in pastels, acrylics and coloured pencil, in recent years her preferred medium has been scratchboard, and her scratchboard works have proved especially popular with art show judges and the public. She is now experimenting with mixed media work on different supports. It is important to Jill that she depicts only subjects with which she has had some kind of personal interaction, as she feels that her work is her way of acknowledging and paying homage to them, and emerges only from many hours of quiet observation of them, preferably in their natural habitat. For this reason, and because of her ongoing intense family commitments, she does not accept commissions, nor does she strive to become widely known as a professional artist. Perhaps her work may reflect something of the feel of a deeply personal experience, and, if this is indeed the case, then Jill feels she has truly succeeded in her art.